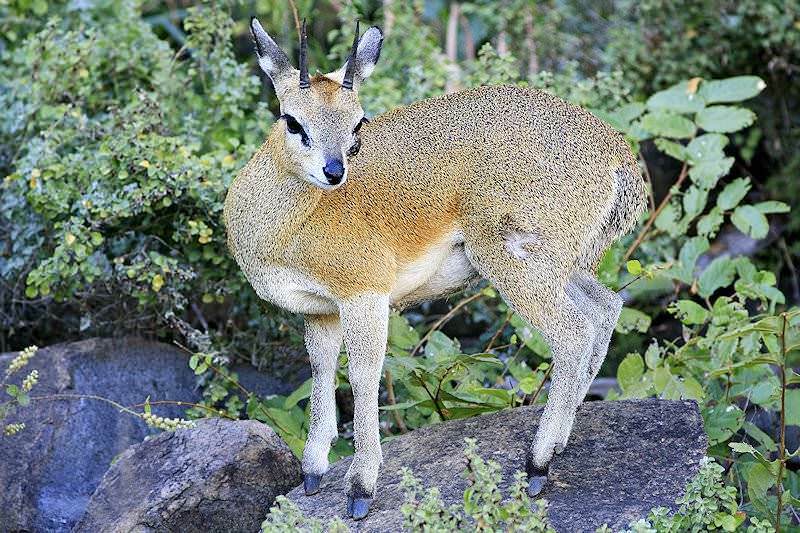 The klipspringer is one of the species of small antelope that can be hunted on safari in South Africa. 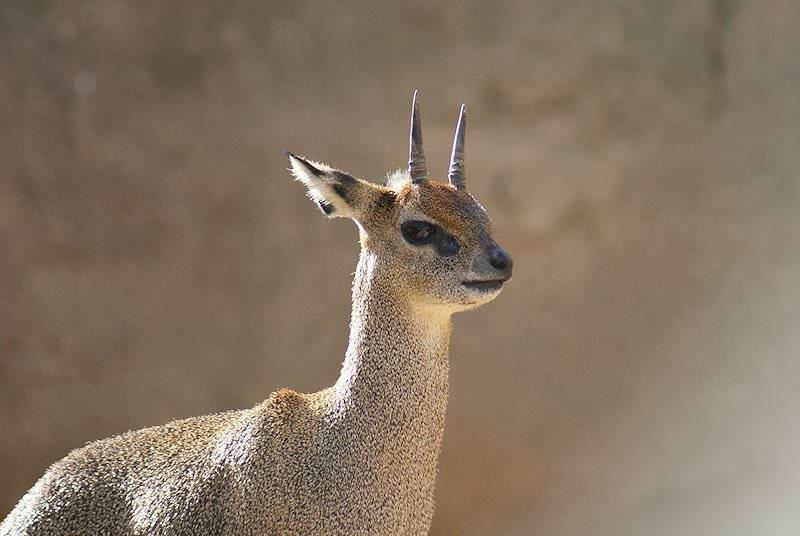 Black speckles on a brown background can provide excellent camouflage when this mini antelope is in his rocky habitat. 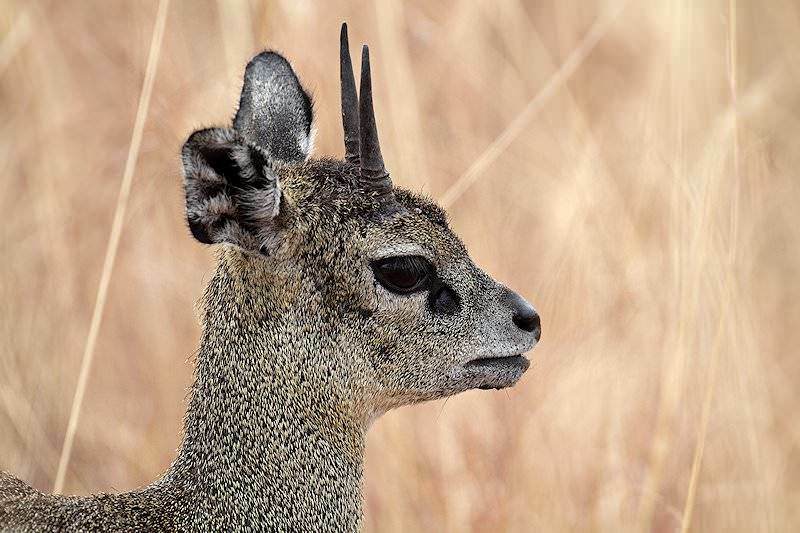 Distinguished from other small antelope by these black speckles and the large black 'tear marks' found in the inner corners of his eyes, the female of the species is slightly heavier than the male, but lacks horns. 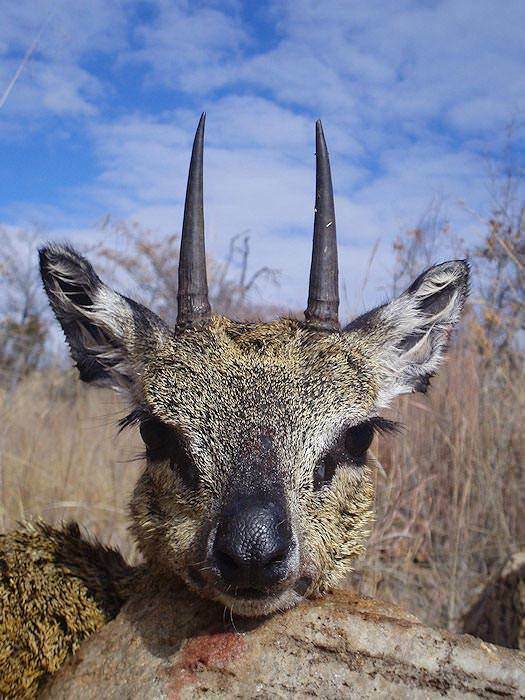 This sought-after member of the 'small five' (klipspringer, duiker, grysbok, steenbok, and oribi) is covered with a dense layer of short, quill-like hairs. 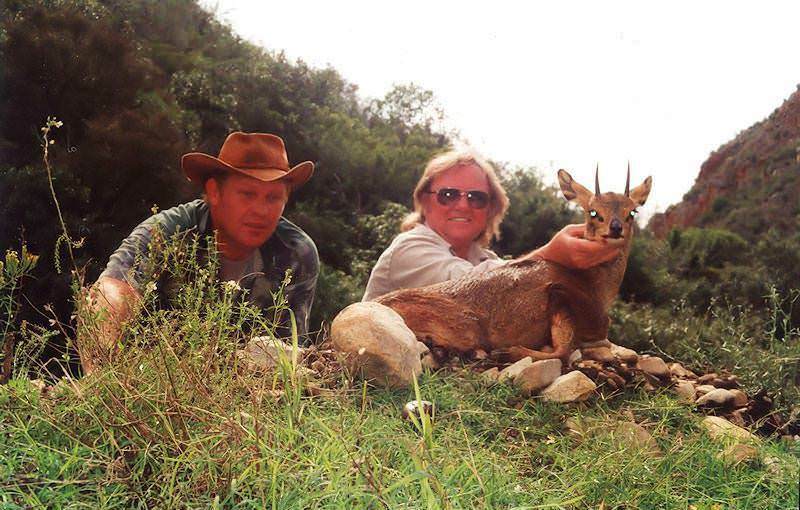 He is unusually good to eat and will serve as excellent bait for hunting leopard. 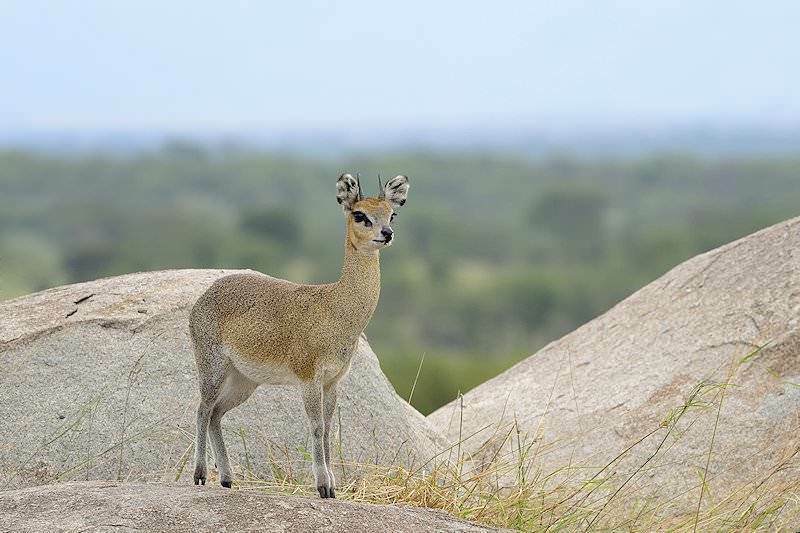 This mini antelope is found exclusively in rocky, arid, mountainous areas. 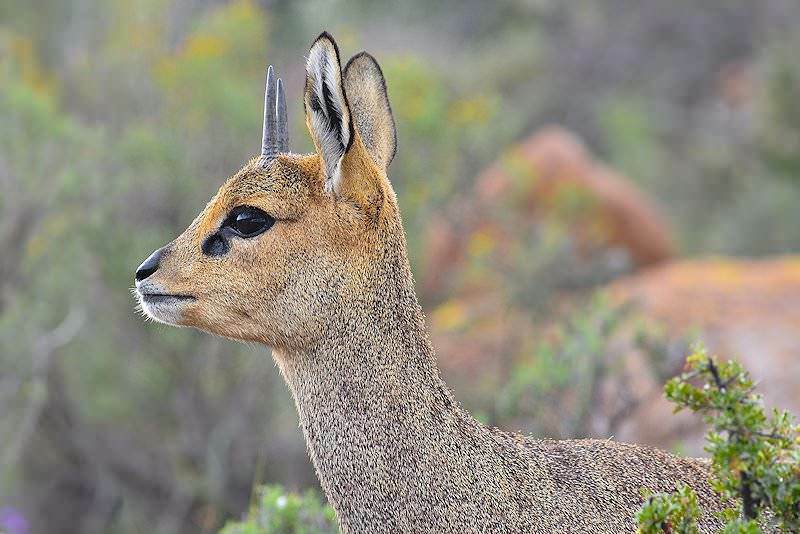 He wanders over long distances to forage mainly on leaves and occasionally grass. 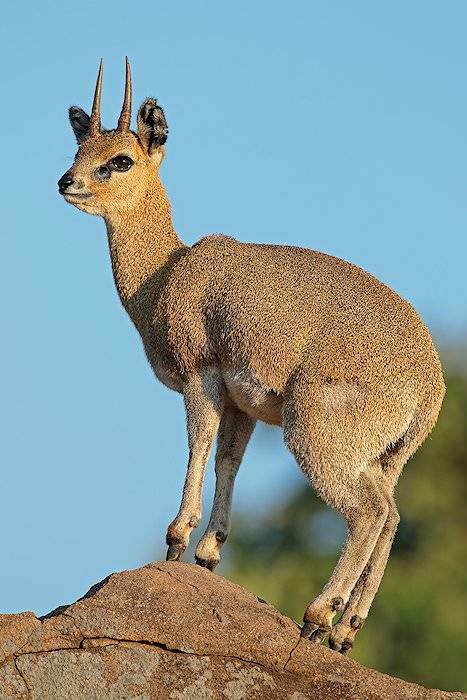 For the most part, he is independent of water, but will drink if water is available. 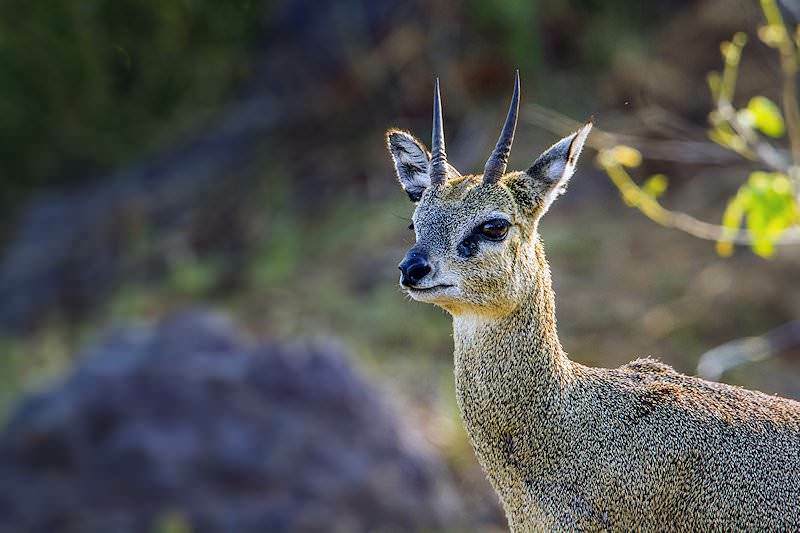 The klipspringer is found mostly in pairs, but will sometimes form small family groups. 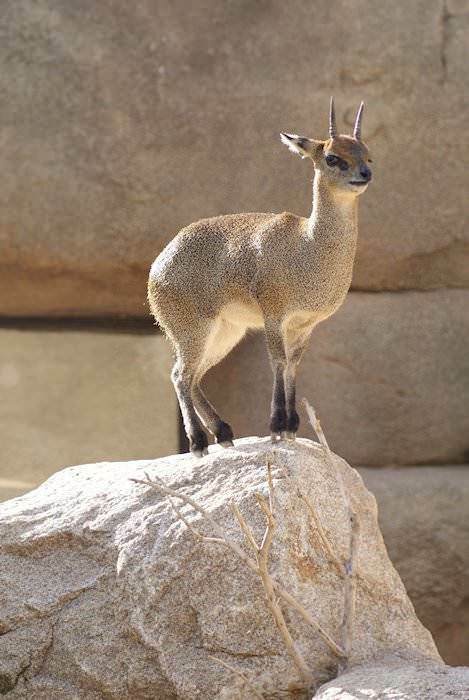 The klipspringer's track is unique and he is an extremely sure-footed rock climber. 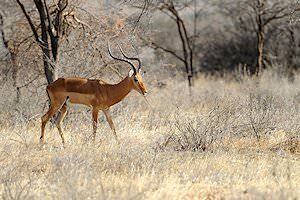 He grazes in early morning and late afternoon, resting in the shade of his rocky habitat during the midday heat. 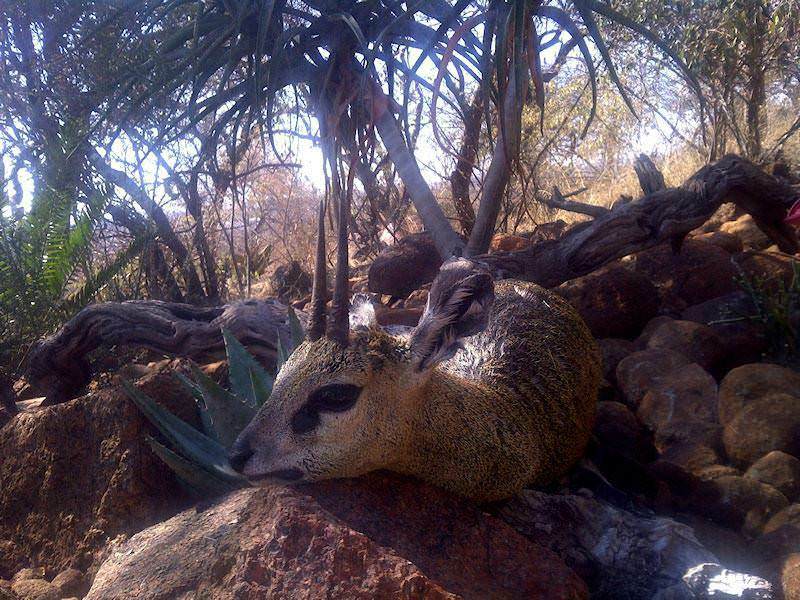 When disturbed, he is quick to take cover in his rocky shelter. 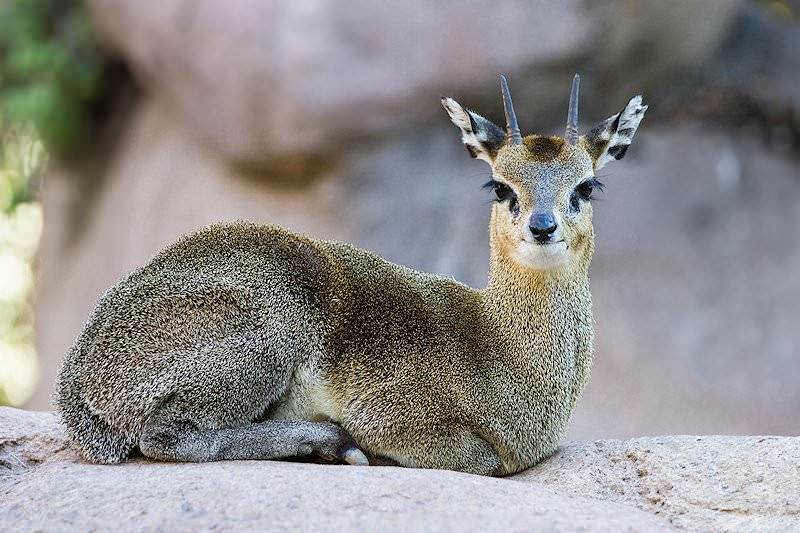 When hunting klipspringer, look for them in rocky terrain and approach from the bottom looking upward, as your quarry is used to predation from above. 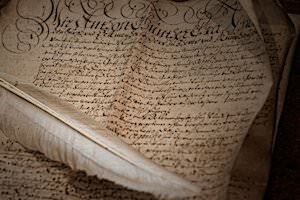 His shrill whistle when alarmed will often give his position away. 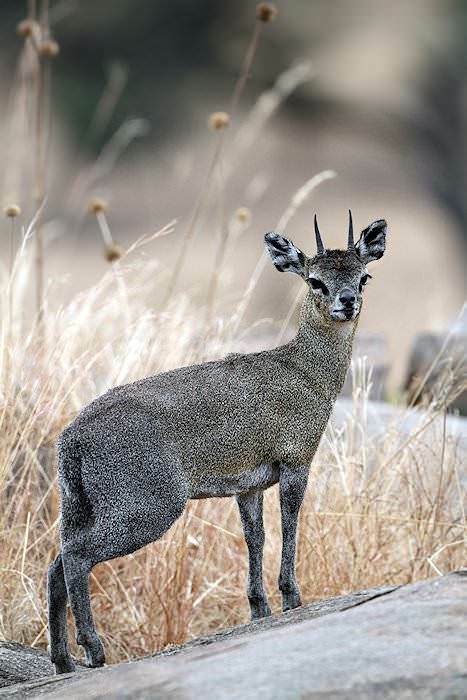 The klipspringer's habit of stopping to look back at what is pursuing him is very similar to many species of antelope, and will often provide an opportunity to shoot. 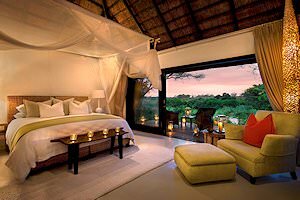 Pursue him slowly, as he will usually not go far and often prefers to keep that which pursues him in sight. 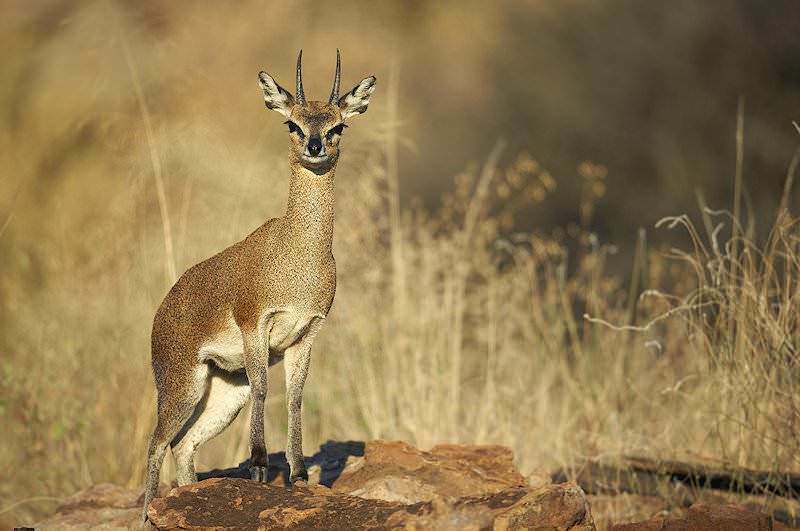 While any suitable 22 centerfire with a 45 to 55 grain bullet will do, hunting klipspringer is often accomplished with heavier calibers. 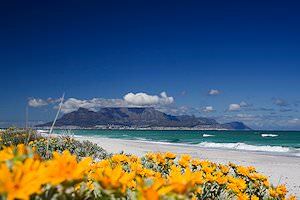 These larger calibers with soft, rapidly expanding bullets will surely ruin the cape. 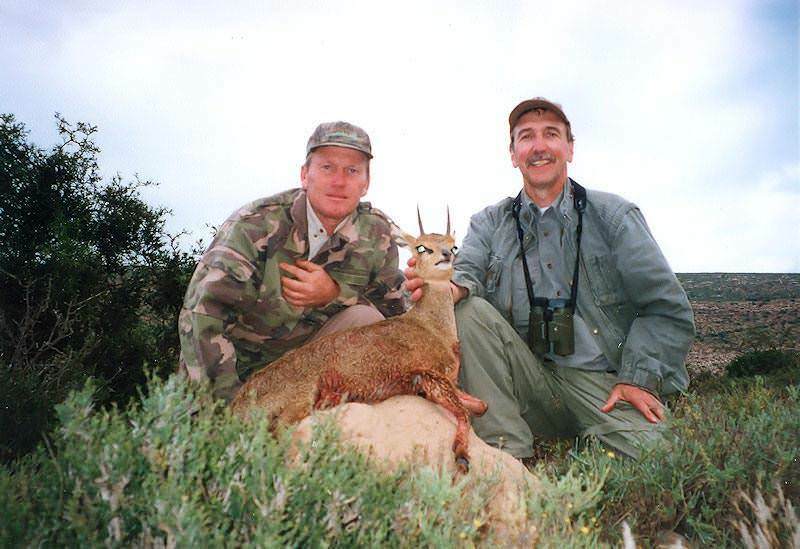 The .223 with military-issue FMJ bullets would be an excellent choice. 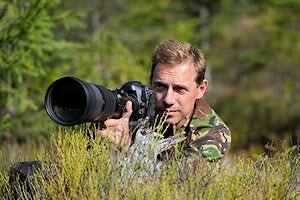 As for shot placement, if using expanding bullets, aim well behind the shoulder. 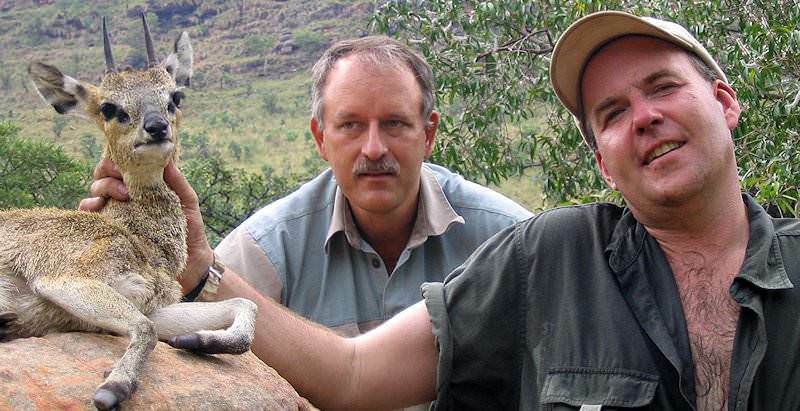 If you choose solids, keep your aim point farther forward. If angles are involved, aim well clear of the shoulder and front leg bones. 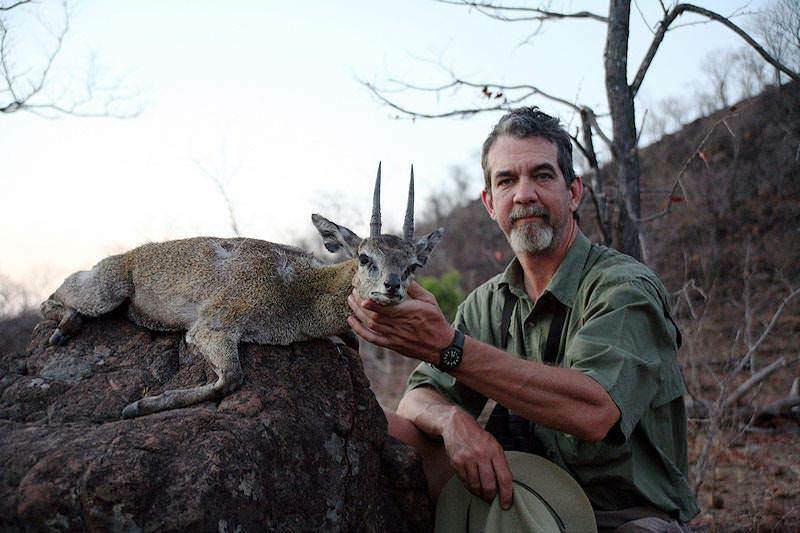 Spinal shots are not recommended and, if offered a frontal shot, place it low in the chest area directly on the brisket just between the front legs. 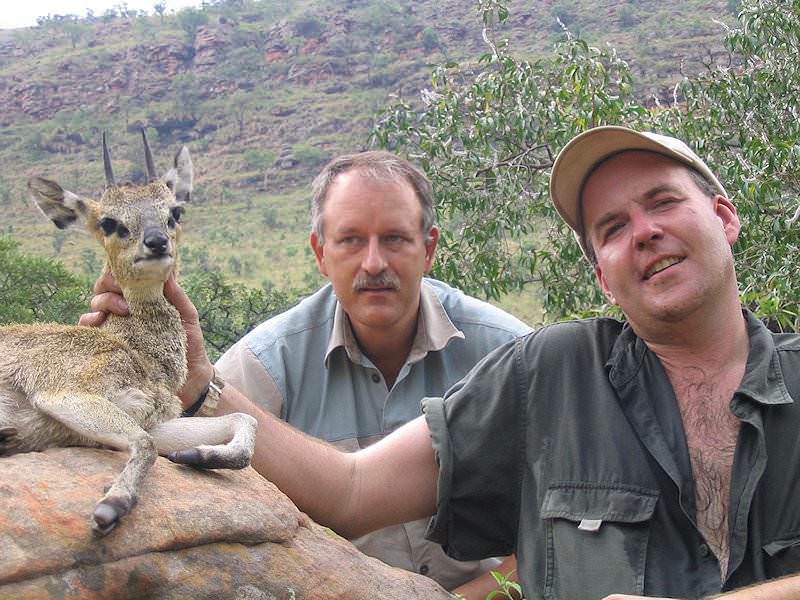 Hunting klipspringer can be a real challenge. 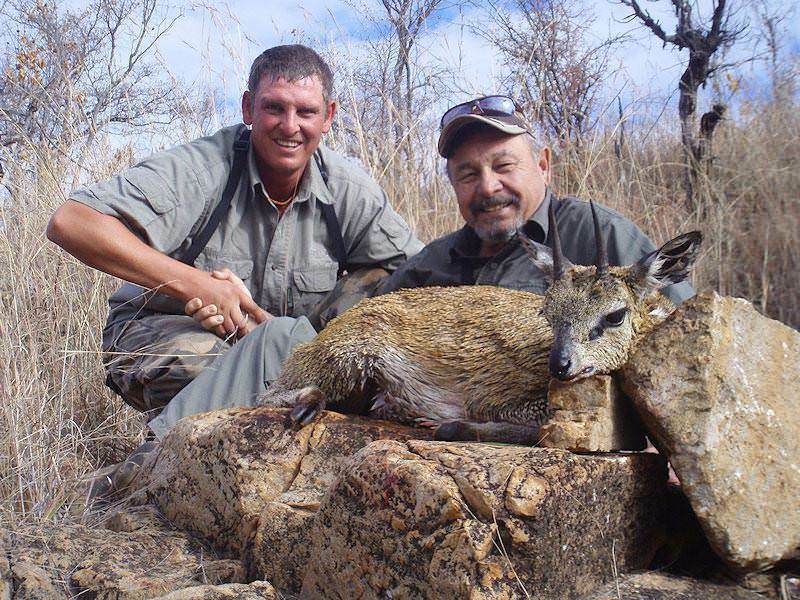 Because of the terrain that this little antelope frequents, a certain amount of physical fitness will be necessary for those hunters who seek this trophy.